Hello Everyone! It’s Kelly Klapstein here today to share a cute chalkboard card that you can make for your child’s teacher, thanking her for a year of hard work. Can you believe it’s the end of another school year? Where does the time go? I know the teachers are probably feeling happy, and maybe the parents are not. Ha ha! I am definitely looking forward to letting my teenagers sleep in, and I will NOT miss making lunches or driving them to school in a rush. 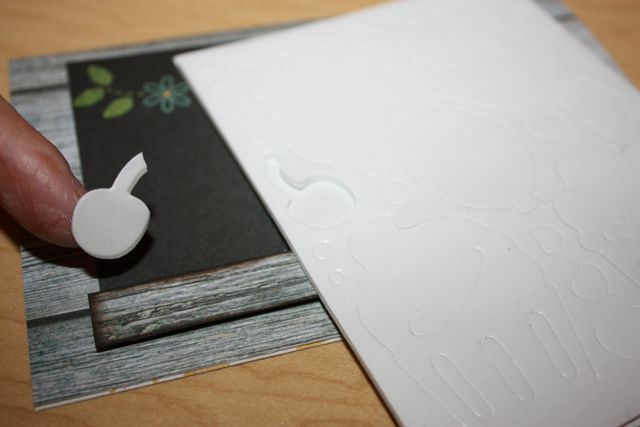 For this card, I used 3 adhesive products. 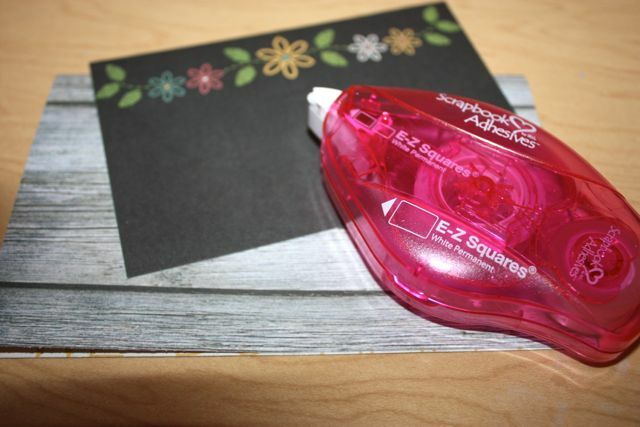 First, I adhered my chalkboard paper to my card base with my E-Z Squares® Refillable. 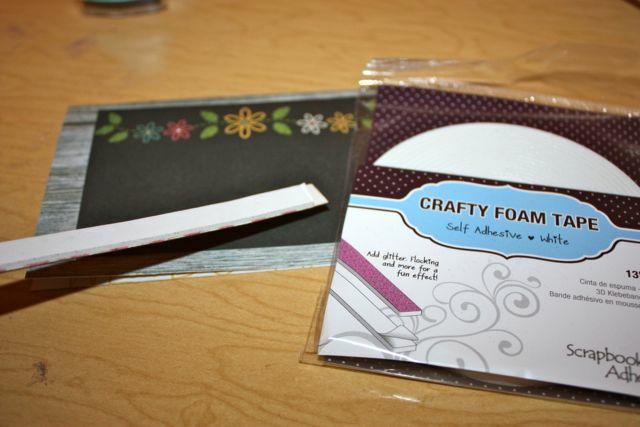 After inking a strip of the ‘wood’ patterned paper, I adhered it to the bottom of the chalkboard piece with Crafty Foam Tape so it would look like a ledge. From the 3D Foam Cupcakes Designer Shapes, I changed a ‘cherry’ into an apple by snipping off the long stem. 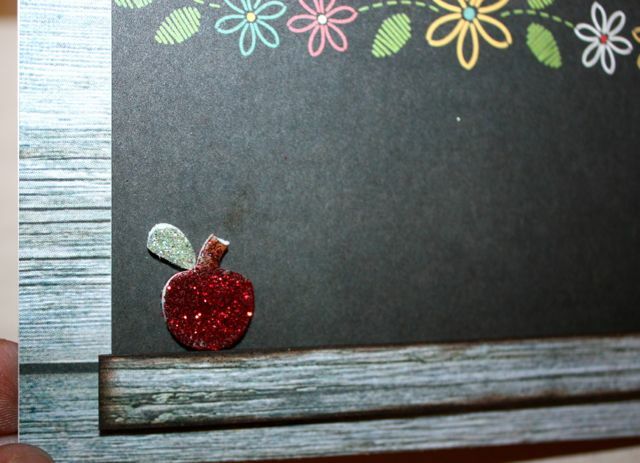 Then I coloured the stem brown with ink and added red glitter to make my apple shiny. I also cut a piece of a ‘heart’ from the 3D Foam Cupcake sheet and glittered it green to look like a leaf on the apple. Last, I added a little piece of white foam to look like chalk on the ledge and just stamped my sentiment with white pigment ink. That’s it! I wonder if my daughter’s teacher will give me a Gold Star for this card? 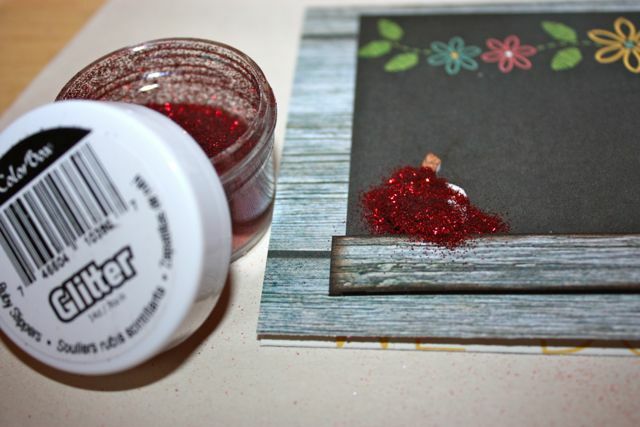 SUPPLIES: Simple Stories papers; Clearsnap glitter and ink. 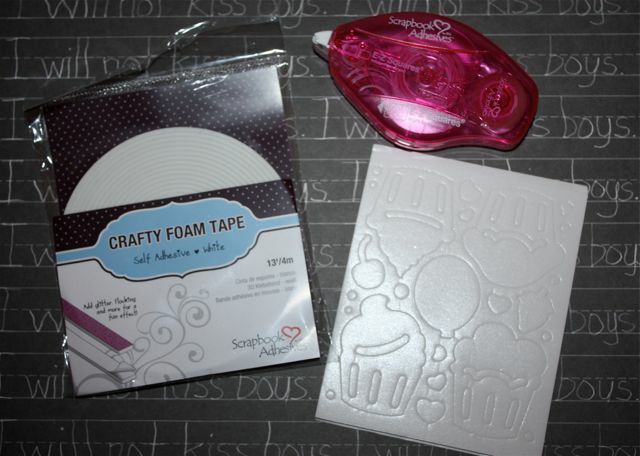 This entry was posted in 3D Foam Shapes, 3D Projects, Adhesives, Cards, Crafts & Tutorials, Crafty Foam Tape, Embellishments, Seasonal Craft Ideas, Summer, Tutorial and tagged 3D Foam Cupcakes, Clearsnap, Crafty Foam Tape White, E-Z Squares, E-Z Squares Refillable, Glitter, Kelly Klapstein, School, Simple Stories, Stamping, Teacher Gift. Bookmark the permalink. One Response to "A Chalkboard Card for Teacher"
No doubt the teacher will give you an A+on this one such a clever card I love the way you made a ledge on the bottom and created an apple fom a cherry you’re a very clever gal tfs!